Middlesbrough Register Office is located in the Town Hall in Middlesbrough (map at the bottom of this page). 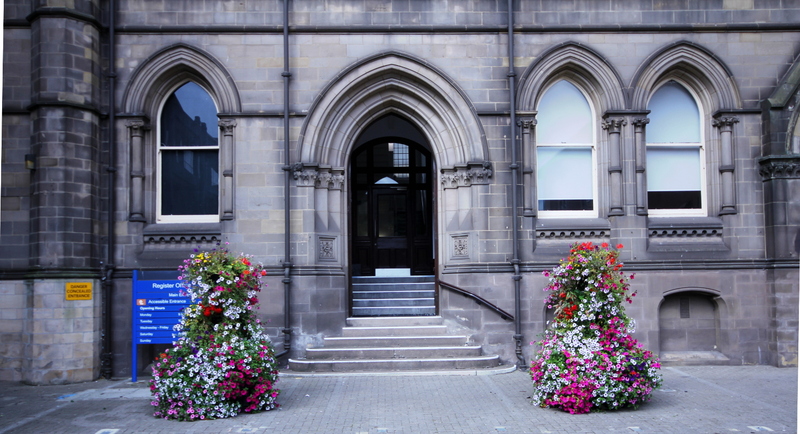 The main entrance can be found on Dunning Street between Middlesbrough Empire and the Town Hall. Please note there are no car parking facilities at the register office. View the map for car parking in the town centre. You'll need an appointment for most of the services provided by the Register Office. Please contact us before your visit to make sure you don't have to wait too long. If you need to contact us out of normal office hours, for example to arrange an urgent burial on religious grounds, please call 01642 726050.